A lovely pair of good size, comfortable walnut stools or seats. Great gentle and elegant serpentine scroll legs. 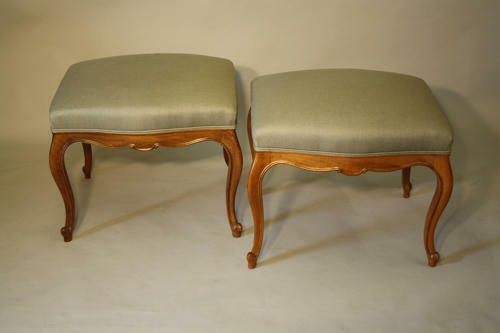 We have reupholstered them in a soft linen fabric of chalky mid grey with hint of very slight blue green. French c1950.